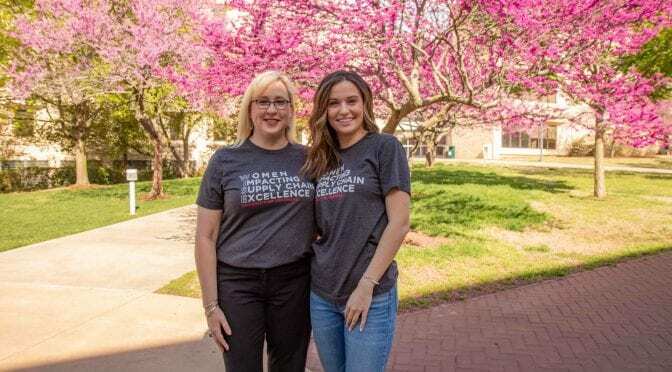 McKenzie Meehan, a junior majoring in supply chain management at the Sam M. Walton College of Business, at the University of Arkansas, was awarded an Excellence in Education Scholarship by AWESOME (Achieving Women’s Excellence in Supply Chain Operations, Management, and Education). Meehan is one of five recipients nationally to receive the award. AWESOME is comprised of women in executive roles in the supply chain industry. Each year the organization invites 22 universities with top supply chain programs to nominate one student to compete for the scholarship. Faculty members nominate young women currently enrolled in supply chain programs who demonstrate supply chain leadership. 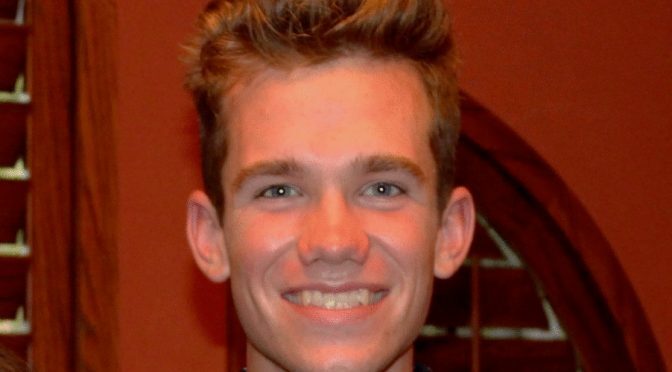 The AWESOME Excellence in Education scholarship will allow Meehan to participate in the Council of Supply Chain Management Professionals EDGE Conference in Anaheim, California, in September 2019 and the AWESOME Symposium in May 2020. 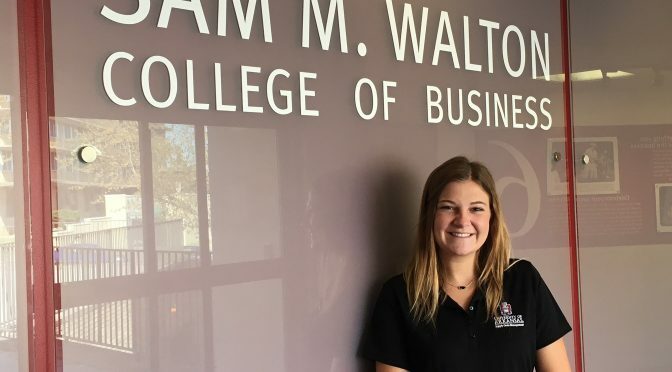 “This scholarship allows me the chance to acquire knowledge and experience from incredible women and industry leading companies and then extend that investment from myself to the other students here at Walton College,” Meehan said. 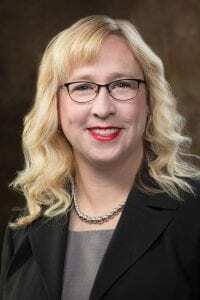 Recently the Chancellor’s Commission on Women named Meehan one of the University of Arkansas’ Extraordinary Women. She also serves as the president of Women Impacting Supply Chain Excellence, a registered student organization on campus, and is a student member of the Council of Supply Chain Management Professionals, a national professional organization. Meehan is personnel chair for the Chi Omega sorority and chairs the senior relations committee for the Student Alumni Board at the University of Arkansas. She interned with Academy Sports + Outdoors last summer and will intern with General Mills this summer. She hails from Overland Park, Kansas. The additional student scholarship recipients for 2019 attend Michigan State University, Auburn University, Penn State and Syracuse University. Previous scholarship winners from the University of Arkansas are Kyani Alford, a 2016 recipient, and Monica Sewell, a 2018 recipient. The enduring career of Lingyun Zhang is the confluence of life-long passions, influences and experiences, starting in China, moving to America, and then back overseas. 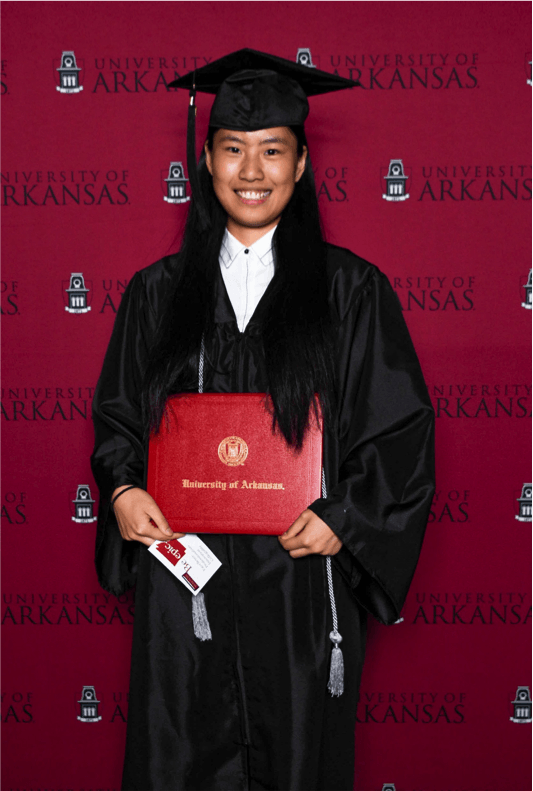 Although she primarily focuses on marketing strategies in her graduate pursuits, Zhang also enjoyed the experience of earning a degree at the Sam M. Walton College of Business in supply chain management this past May. Before Zhang studied abroad, she earned her first Bachelor’s degree in logistics management at Soochow University which is based in Suzhou, China. Driven to succeed, Zhang was awarded the Academic Excellence Award prize three times alongside her other academic awards that highlighted her community involvement, innovation and quality development. Zhang held two different positions at Soochow University during her enrollment, one as vice president for Enactus and the other as associate director for the Students’ Union. Her involvement with students, awards and scholarships she obtained pushed her to study abroad and pursue a degree in supply chain management, as she was granted the Soochow University Overseas Study Scholarship in 2017. In her free time, Zhang enjoys spending time outdoors, exploring with her friends and being with her family. 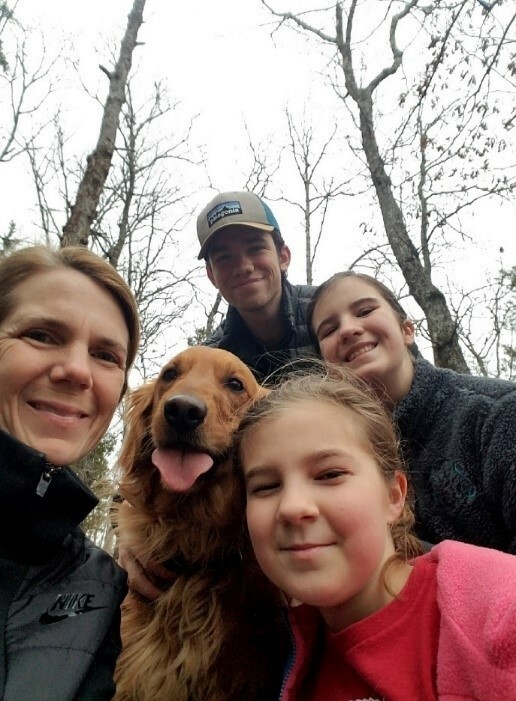 Her mother and father both live in China, which influenced her returning home after her studies concluded at the University of Arkansas. During her time in the Walton College, Zhang held a spot on the Chancellor and Dean’s List. In just one academic year, she and her classmates from Soochow accumulated 47 credits. Zhang was among the highest performing students in her class, obtaining a 4.0 grade point average throughout her experiences abroad. What Zhang has learned from her academic courses has proven invaluable during her internships, with Walmart China being her first in 2016. As a project intern in the Supply Chain Department, Zhang was responsible for the system upgrade of the Team Productivity Report for the Fresh Distribution Centre. Her responsibilities entailed eliminating inefficient jobs, redefining new roles and presupposing the criteria for working hours and work efficiency assessments. 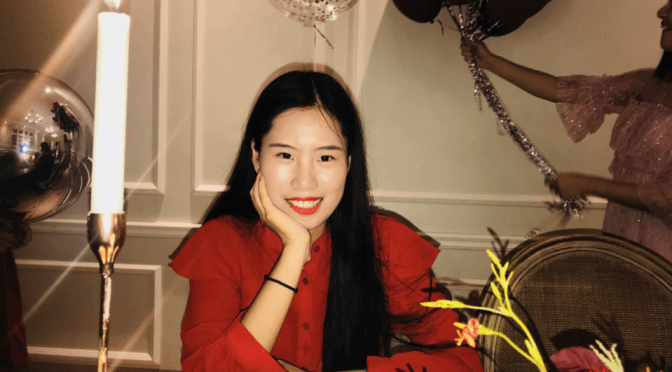 Presently, Zhang resides as a digital marketing intern for Wyeth Nutrition based in Shanghai, where she directly communicates with multiple departments to support campaigns’ follow up and convenient operation. Time management in her administrative work is a direct reflection of one of the many skills she acquired during her time at the Walton College. 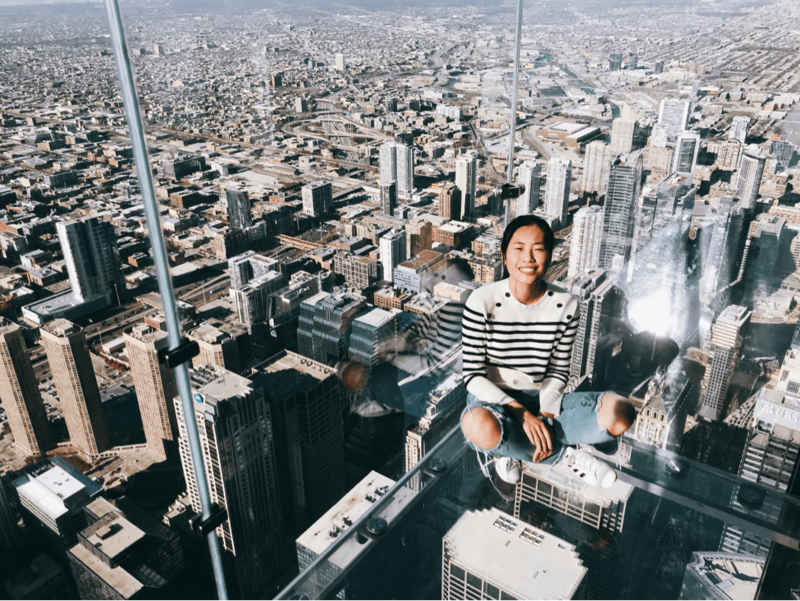 Continuously engaging in administrative work, Zhang still finds time to pursue her research interests, involving marketing strategies and analysis rooted in Chinese tradition and media. We are proud to have Lingyun Zhang as one of our EPIC Spotlights as she continues to make global progress and encourages other women to do the same! 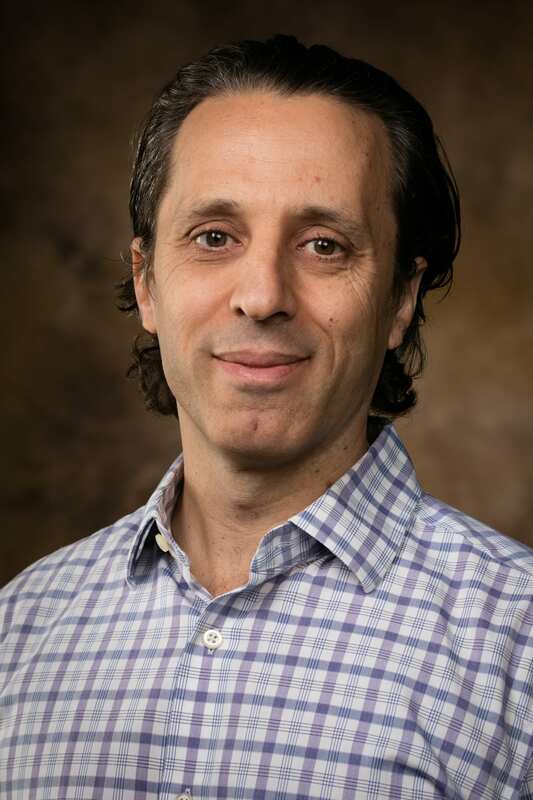 The Supply Chain Management Research Center at the Sam M. Walton College of Business at the University of Arkansas teamed up with researchers in China to compare the macro-economic data of Chinese and American transportation volume and inventory costs. 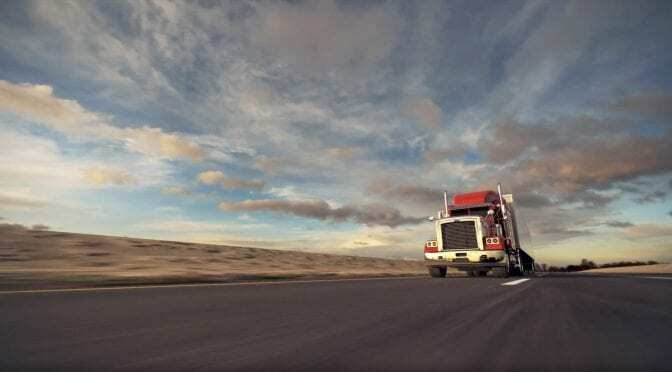 The research was conducted by the Walton College center, the Development & Research Center of the State Post Bureau of the Chinese Ministry of Transportation and the Cainiao Smart Logistics Network Limited, an Alibaba affiliate. 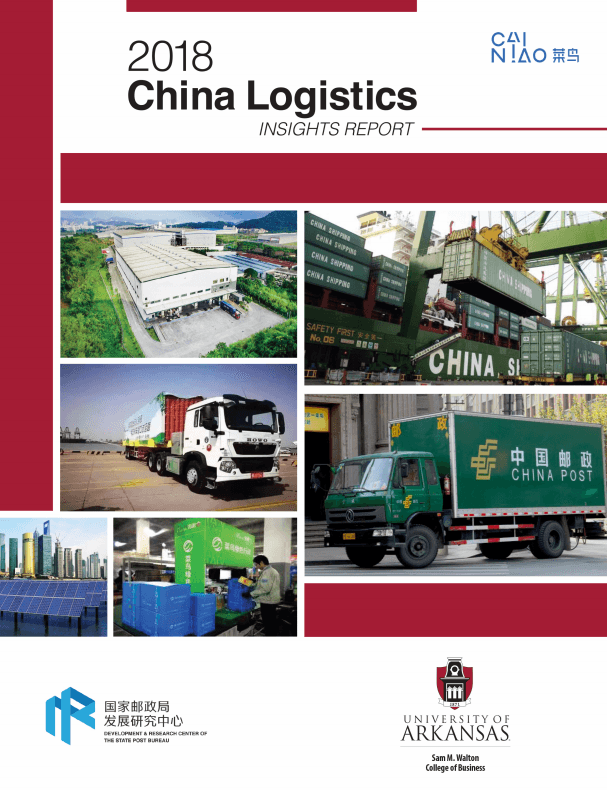 The 2018 China Logistics Insights Report reviews each country’s detailed logistics costs as a percentage of gross domestic product. Findings compare the domestic Chinese economy with cost details in the U.S. State of Logistics Report, insights on the differences and logistics trends and an outlook for the future. This year’s report focuses on green supply chain. “China’s green supply chain strategy has been evolving for several years starting in 2011 in a development phase. It has matured to include product design, procurement, production, sales, distribution, consumption and recycling aspects of supply chain management. Currently, green supply chain governance systems based on regulations, policies and standards are in place” said John Kent, clinical associate professor in the Department of Supply Chain Management. To receive a digital copy of the report, email John Kent at JKent@walton.uark.edu along with your name and company affiliation. 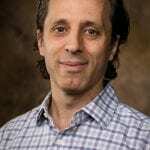 The Sam M. Walton College of Business at the University of Arkansas now offers an online bachelor’s degree in supply chain management. 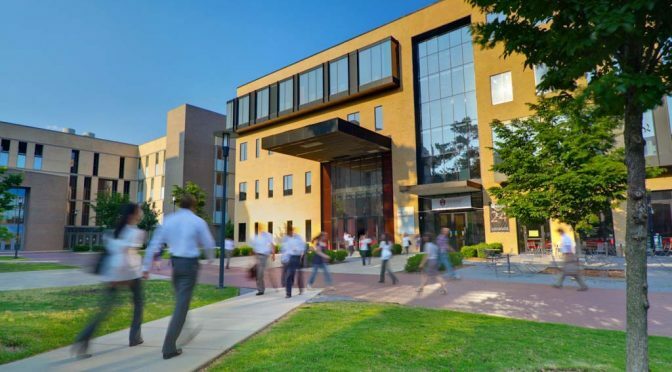 Through a partnership with the university’s Global Campus, Walton College now supports three online bachelor’s degree programs: supply chain management, general business and accounting. The online program in supply chain management will prepare students for leadership roles in a fast growing, complex and demanding field. Supply chain talent must be able to excel with the emergence of analytical capabilities as the market expands globally. Therefore, companies are continuously seeking new talent to keep pace with the rapidly changing interface of the supply chain. 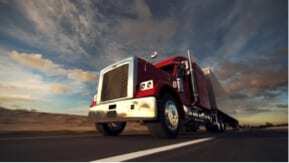 “Businesses are currently experiencing a shortage in supply chain talent, so adding the online supply chain degree program reflects our ongoing efforts to advance the college’s vision for being a catalyst for transforming the lives of our students, while contributing great talent to the industry,” said Brian Fugate, chair of the Department of Supply Chain Management. 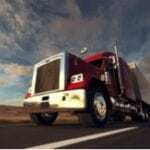 Students can begin the supply chain management bachelor’s program and complete all four years of coursework online. Students with past college credit can also complete the rest of their bachelor’s degrees online. 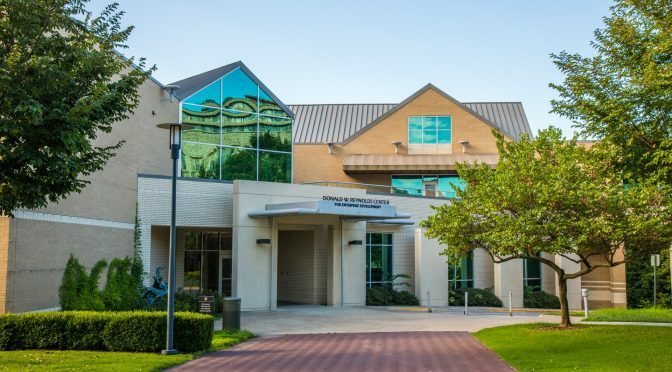 To graduate, scholars must complete at least 120 credit hours, including the university’s core requirements and select Supply Chain Management courses. 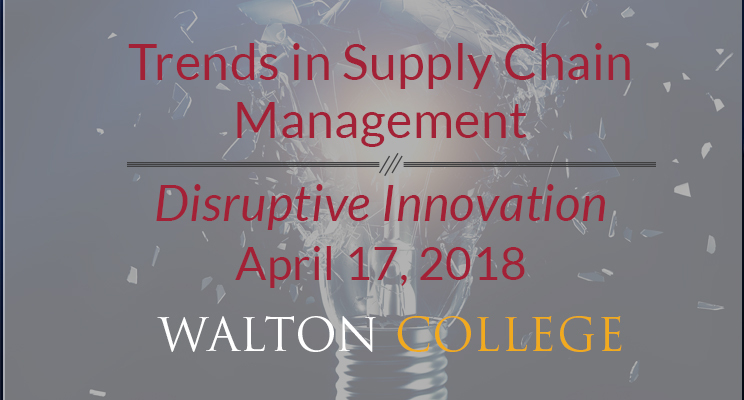 Walton College’s Department of Supply Chain Management is ranked 15th in the nation by the 2018 U.S. News & World Report “America’s Best Colleges” and by leading research and advisory company Gartner in its biennial North American Supply Chain University Program Survey. The new program is one of about 40 online programs offered completely or primarily online by U of A academic colleges and schools. 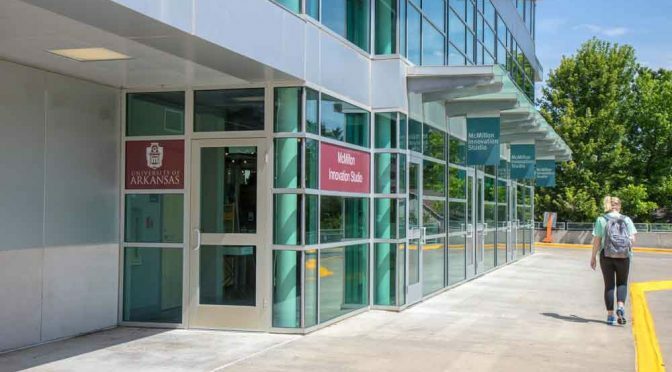 Online bachelor’s, master’s and doctoral degree options are showcased on the University of Arkansas ONLINE website, as well as online certificate, licensure and endorsement programs. Online programs are administered by the Global Campus, which is a U of A support unit. 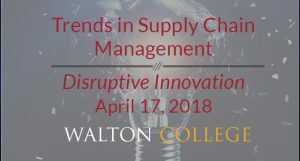 About the Department of Supply Chain Management: In addition to faculty expertise, our students benefit from the Walton College Supply Chain Management Research Center, which connects students to industry executives, internships and job opportunities. Recognizing the quality of the supply chain program faculty and graduates, U.S. News & World Report has rated the Walton College supply chain program among the best in the United States. About the Global Campus: The Global Campus supports U of A colleges and schools in the development and delivery of online programs and courses. It provides instructional design services, technology services and assistance with marketing, recruiting and strategic academic development.